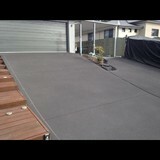 Newcrete Resealers and Newcrete Pressure Cleaning are Gold Coast based businesses. We specialise in decorative concrete colour restorations, resealing, recolouring, and pressure cleaning for commercial and residential clients. We operate throughout the Brisbane, Gold Coast, and Northern New South Wales regions. Why choose us? - We are fully licensed and insured businesses to offer our clients full protection and peace of mind - Resealing – we are registered with Queensland Building and Construction Commission - Pressure cleaning – we are an accredited water efficient operator with the Queensland Chamber of Commerce - We have been keeping our customers happy for over 10 years - We aim to provide the best service and are price competitive operators Our services are diverse and cover all of your pressure cleaning and decorative concrete resealing requirements. Please feel free to browse this site to learn more about us or contact us directly on 0418 881 219. 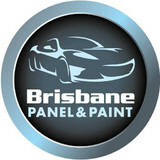 Brisbane Panel and Paint specialises in high quality repairs and paint work for all European automobiles. Gibbs Truck Transmissions Co. is reputable company that you can choose their services when you need quality services in within the Australian market whenever you need to look for the best options in within the market. With the truck transmissions, gearboxes, differentials, and driveshafts that we have been providing for our customers, you should remember that you would have the best options that you would get from the market even as you do look for that high quality from the given market. Why choose US? When you select our services, we have experienced professionals who will ensure that they offer you the services that you would need when thinking about making that perfect choice. Through the services that you would get, you should remember that you would have a higher quality when looking for the best services in the Australian market. 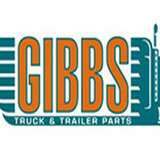 Get us at Gibbs Truck Transmissions when you need high class quality services. Concrete driveways , patios and pathways and all other aspects of concrete works. Specialist in concrete resurfacing and epoxy floors we pride ourselves in a perfect finish. Specialists in driveways footpaths and patios we can do plain coloured and exposed concrete with quality workmanship guaranteed. From installation to repair, Collingwood Park, QLD, AU driveway contractors are responsible for a variety of planning, installation, construction and driveway maintenance services. Driveway installation. Before work begins on a new or replacement driveway, your professional should create plans based on your needs and material choices, as well as your property grade, soil and other Queensland landscape factors. When it comes to the actual driveway construction, driveway contractors are responsible for preparing the site, obtaining the necessary materials, making sure a strong foundation is laid, operating equipment and heavy machinery, and cleaning up the site afterwards. Driveway materials. While most driveway contractors in Collingwood Park, QLD, AU primarily work with asphalt, they are also experts on the wide range of available driveway materials. If you are looking for something different than a standard asphalt driveway, your pro can help you select driveway pavers or customize a brick driveway design. A driveway installation and maintenance professional may work closely with a Collingwood Park, QLD, AU builder, landscape professional or various manufacturers and suppliers. 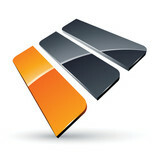 Find a Collingwood Park, QLD, AU driveway installation and maintenance professional on Houzz. Narrow your search in the Professionals section of the website to Collingwood Park, QLD, AU driveway installation and maintenance. 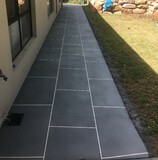 You may also look through Collingwood Park, QLD, AU photos to find examples of driveways that you like, then contact the professional or contractor who worked on them.